Hey there. Scooby Doobie Doo... where are you?! Man, I used to watch Scooby Doo as a kid all the time. It was silly, it was mysterious, and it was just a fun cartoon to watch. The Scooby Doo franchise never really took itself seriously and there were plenty of cameos during their run. I think that its this carefree nature that makes the franchise so endearing. Anyways, if you are fan of Scooby Doo and you love KISS, then I have a giveaway for you! 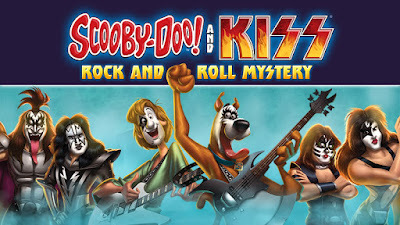 I partnered up with our good friends at PartnersHub to give the chance for one of you fine readers to win a Blu Ray combo pack of Scooby-Doo and KISS: Rock and Roll Mystery! The combo pack includes 3 copies of the film. A blu ray copy, a DVD copy, and a digital copy (UltraViolet)! To enter, all I ask is for a little reader interaction. If you are familiar with the cartoon show, then you are familiar with the many sounds that are played throughout the show. Below is a soundboard. To enter, play with the soundboard and leave a comment with your favorite sound (ZOINKS!) and then use the giveaway widget to gain additional entries. 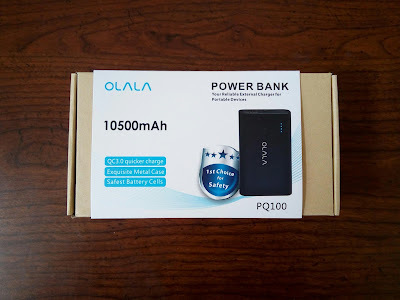 Now, the giveaway details. The giveaway will run from now until August 5th, 2015. The winner will be announced shortly there after. Each household is only eligible to win One (1) Scooby-Doo and KISS: Rock and Roll Mystery Blu-ray Combo Pack via blog reviews and giveaways. Only one entrant per mailing address per giveaway. Prize will be shipped by USPS or FedEx. Sorry, no PO Boxes. If you have won the same prize on another blog, you will not be eligible to win it again. If a response is not received by the end of 48 hours, the winner will forfeit their prize and a new winner will be chosen. Prize will be shipped by PartnersHub. Winner is subject to eligibility. Giveaway is open to US and Canada residents only. Good luck! Don't want to wait and must own now? Pick it up on Amazon!